Why travel when you can explore? Why enjoy when you can indulge? And why share when it can all be yours? It’s time you did something for you, and travelled in style like never before. Not only is the Huntsman affordable it is very compact; making any destination attainable and is like every other Winnebago, extremely comfortable and fully self contained. Get out and explore or sit back and immerse yourself in your surroundings thanks to the cosy dinette chairs and large dinette windows. The kitchen is efficient yet functional, whip up a feast with ease using the 2 burner stove and microwave. The comfortable seating and double bed are great to relax and re-energise on. The fully self-contained bathroom is spacious enough for those hot showers, with a cassette toilet, a separate vanity and storage for those personal items. There’s a heap of general storage, both inside and out for all those things you need for your latest adventure. Escape to places you’ve always wanted, in a Winnebago Huntsman. 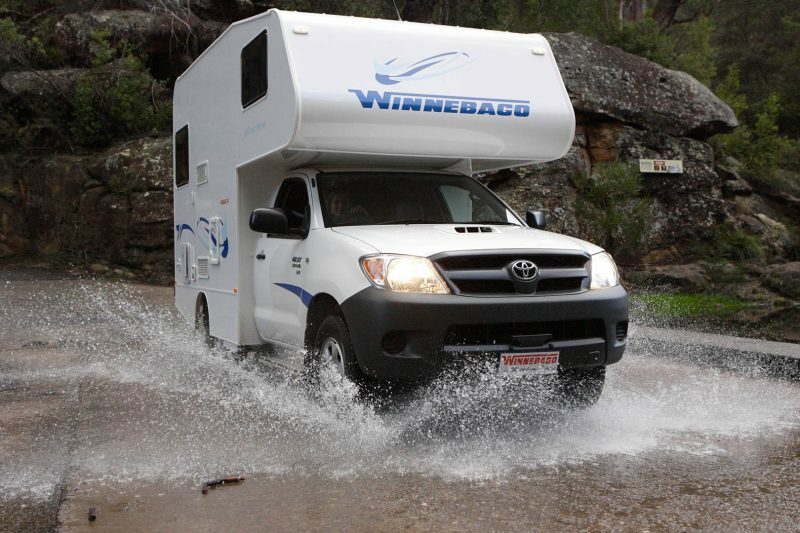 The Avida Winnebago Huntsman is no longer manufactured and isn’t able to be purchased as a brand new motorhome. You should see the Avida Leura and Avida Ceduna ranges which have similarities to the Huntsman.